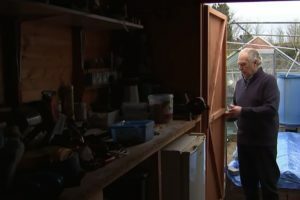 We are surrounded by the wonders of nature and one artist has taken it one step further by using nature’s gifts as inspiration for creating art. 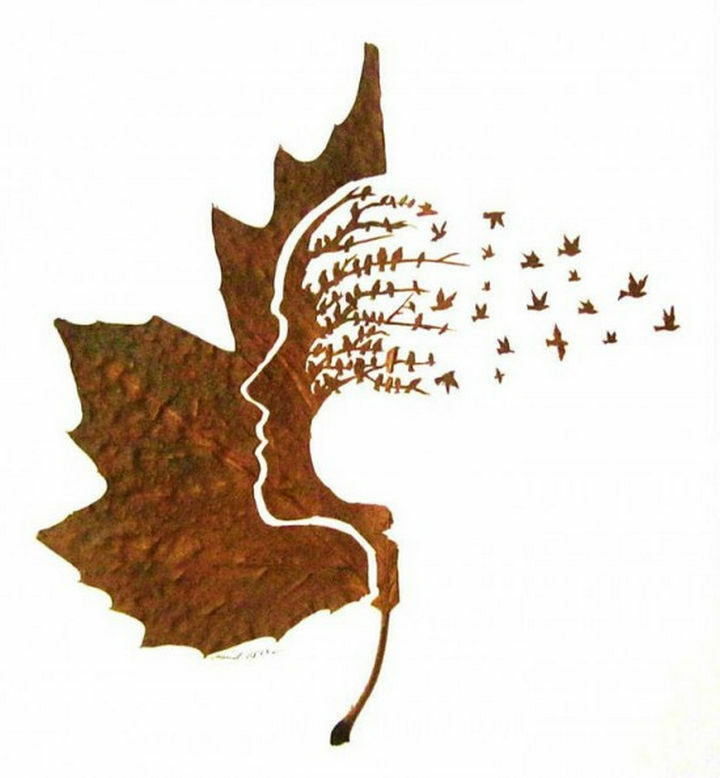 Omid Asadi of Greater Manchester, England was inspired by the idea using fallen leaves for creating leaf art while taking a stroll in the park with his wife four years ago. 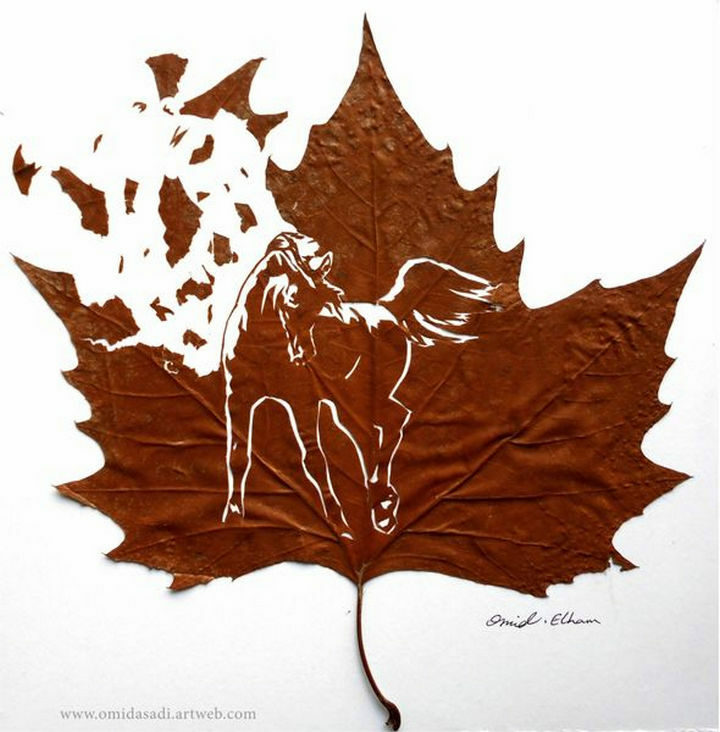 Today, he takes leaf cutting to a whole new level by creating beautiful and intricate leaf art pieces by carving fallen leaves. 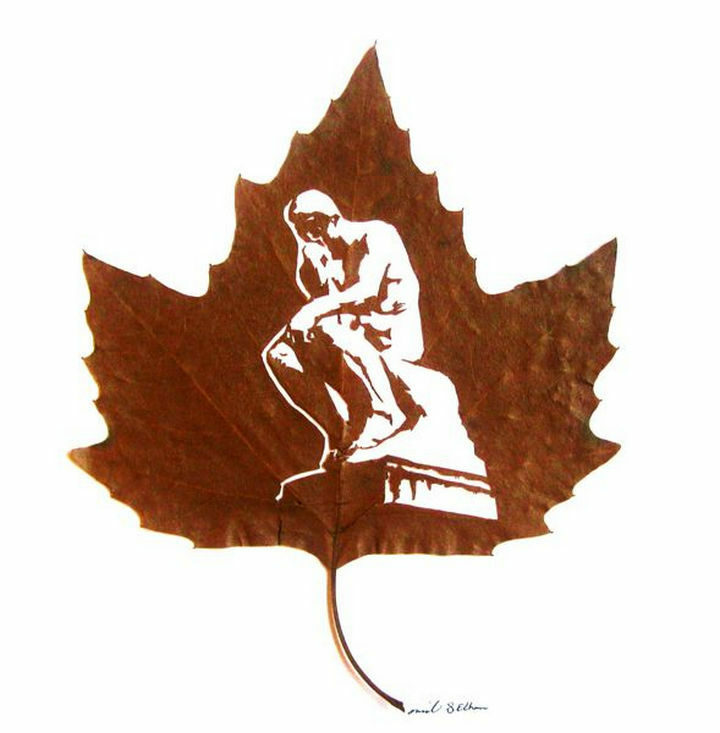 His work has been on display in London and Italy and he continues to astound art lovers with intricate leaf art carvings that are created with only a scalpel, a magnifying glass, a needle and TONS of talent. 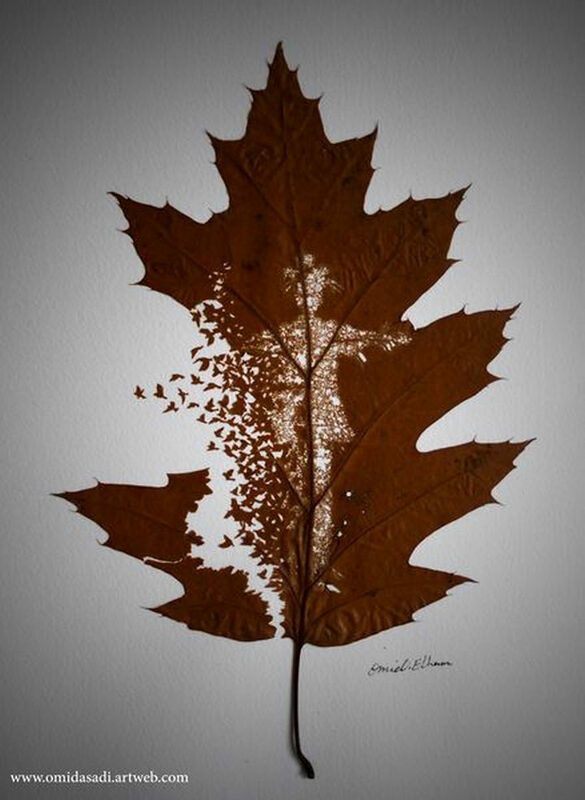 Artist Omid Asadi was inspired while walking in the park with his wife when he noticed insects chewing on leaves caused intricate patterns. 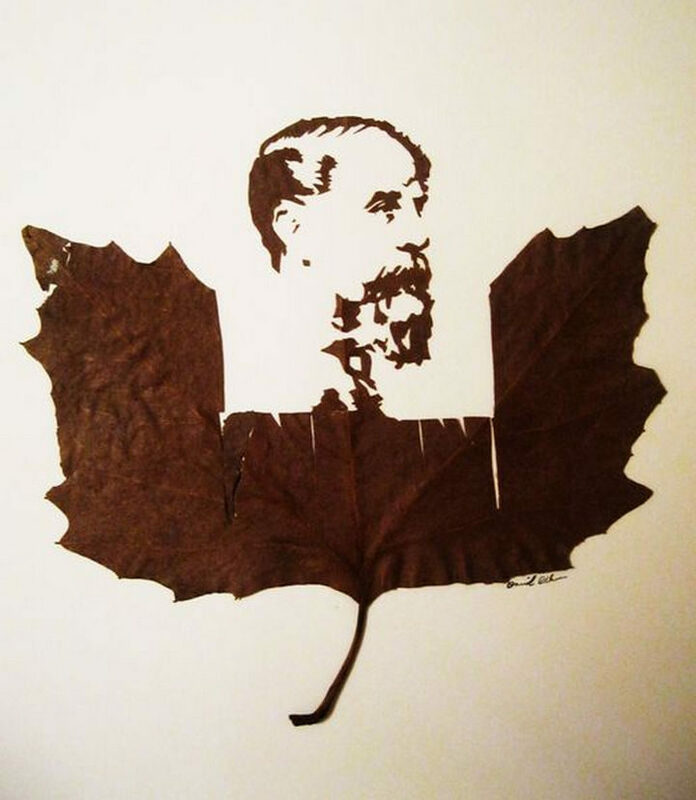 He decided to attempt carving leaves and his passion for leaf art only grew stronger. 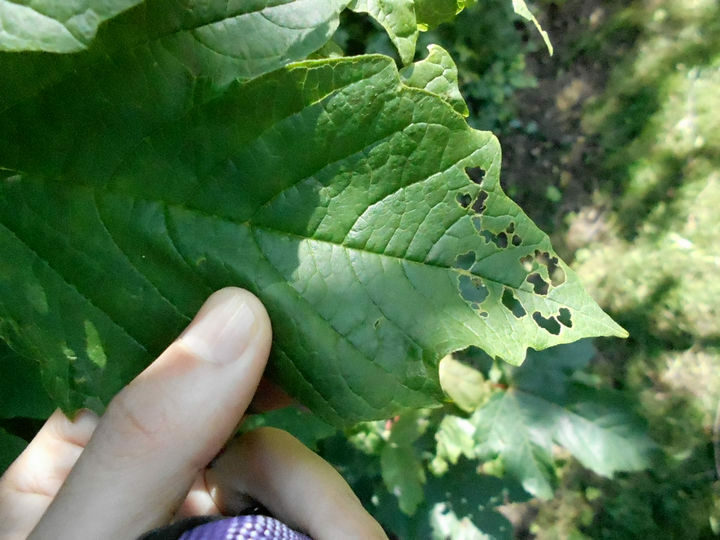 2) All he needs is a scalpel, a magnifying glass, and a needle to create intricate leaf carvings. 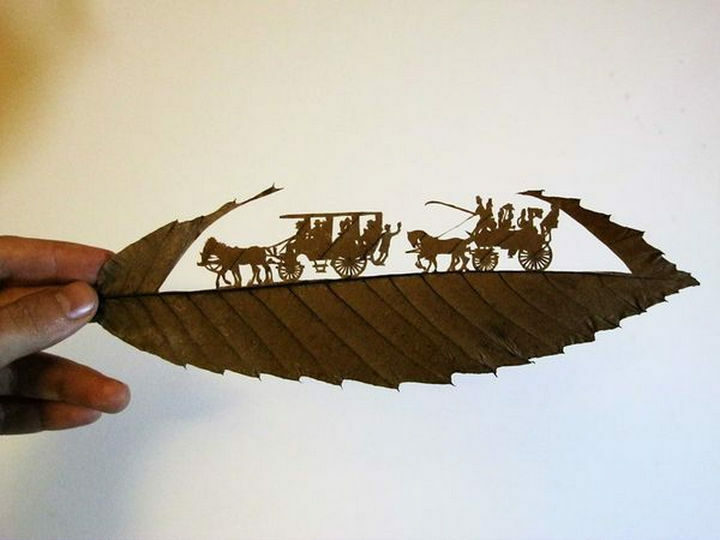 A beautiful carving that brings life to a carriage. 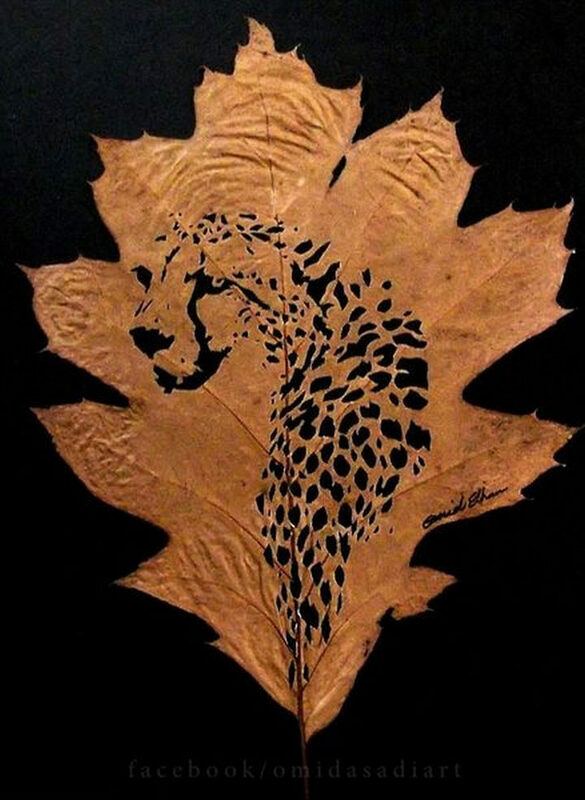 This orange leaf was the perfect canvas for creating a Persian Cheetah. 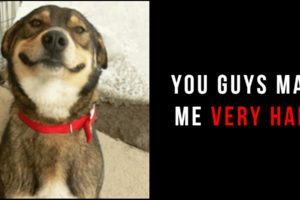 5) An image of solidarity. 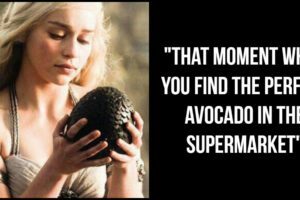 6) The image of freedom. 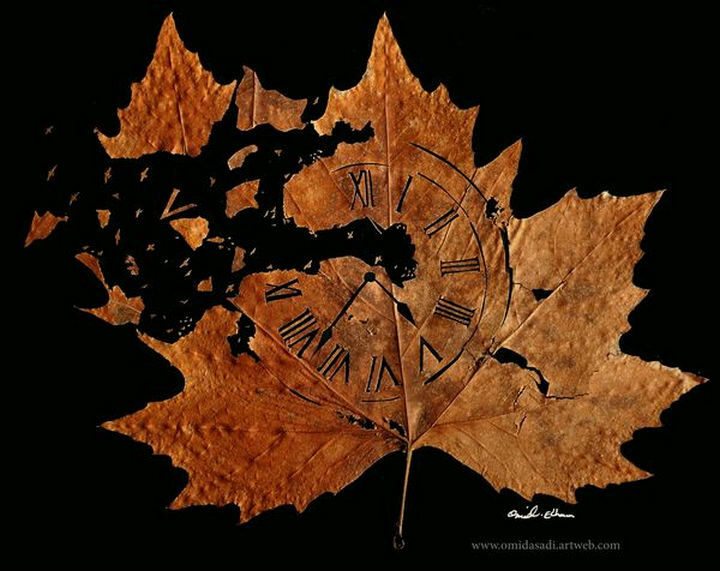 7) Journey reminds us that time is always passing. 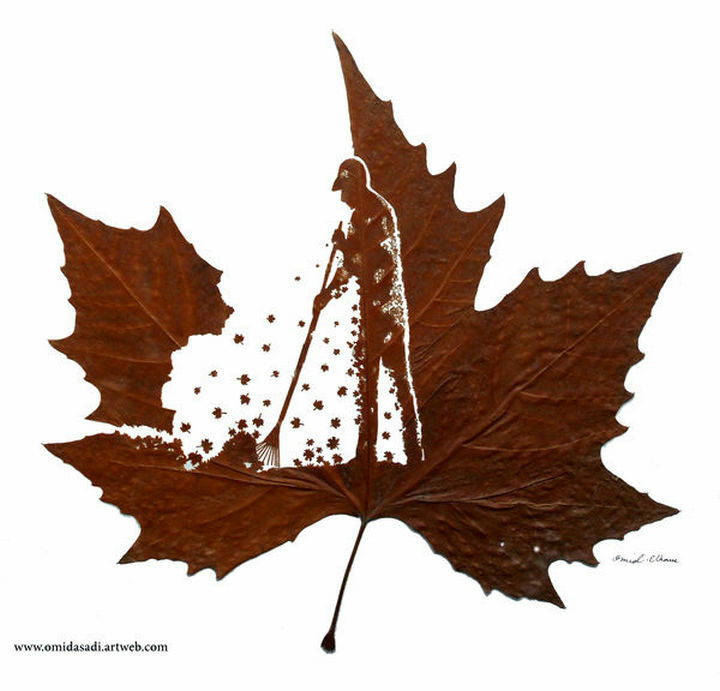 9) Autumn is the season for raking leaves and this leaf carving depicts it perfectly. 10) Dream bigger, reach higher. 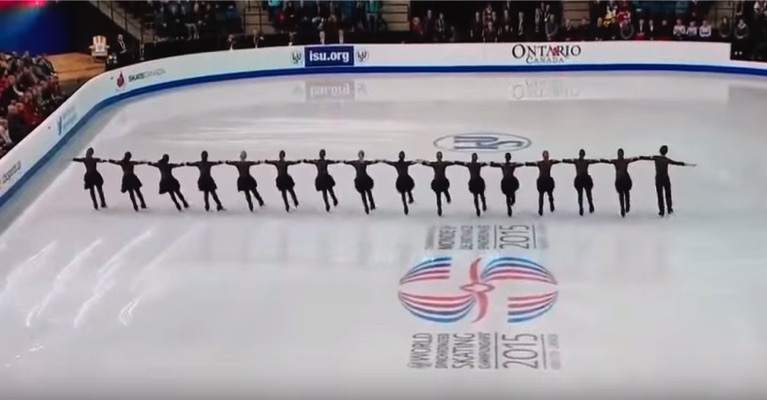 11) A scarecrow disintegrating into birds flying into the horizon. 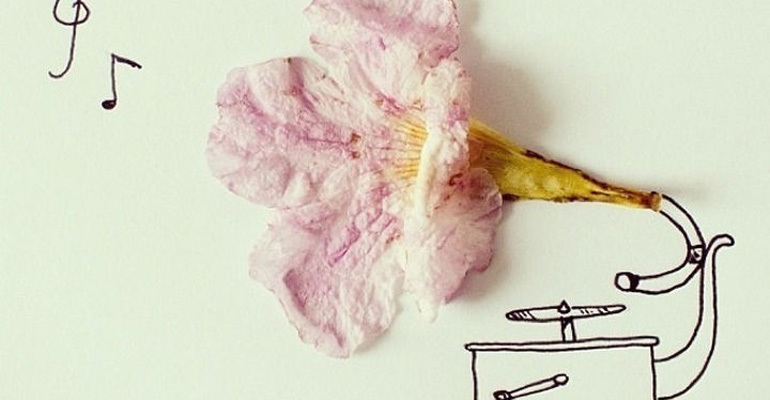 12) Inspiration is everywhere and the level of detail is astonishing. 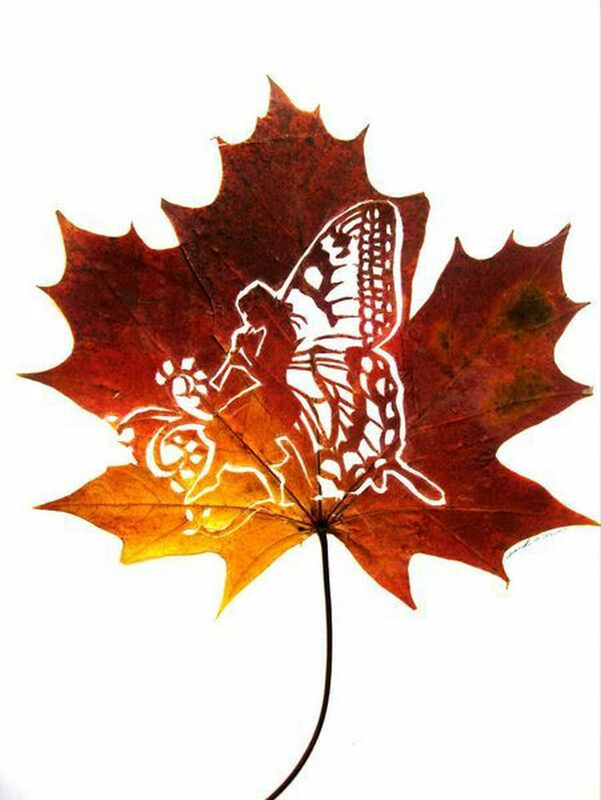 13) Colors dance in this leaf carving of a whimsical fairy playing a flute. 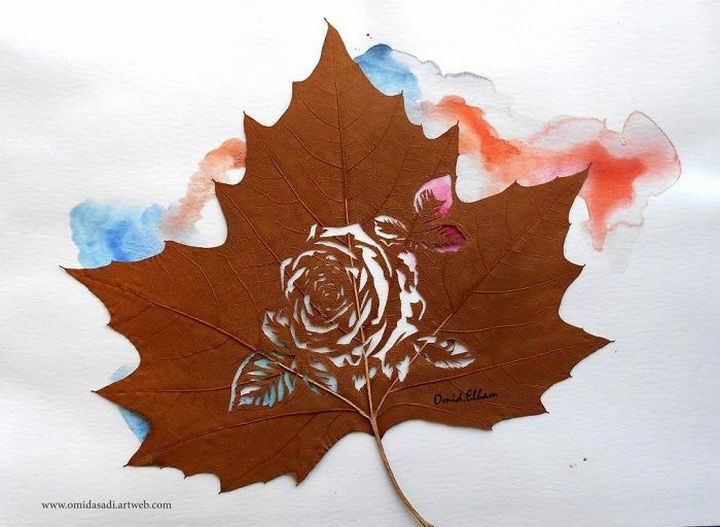 14) Rose in a leaf with a splash of color. 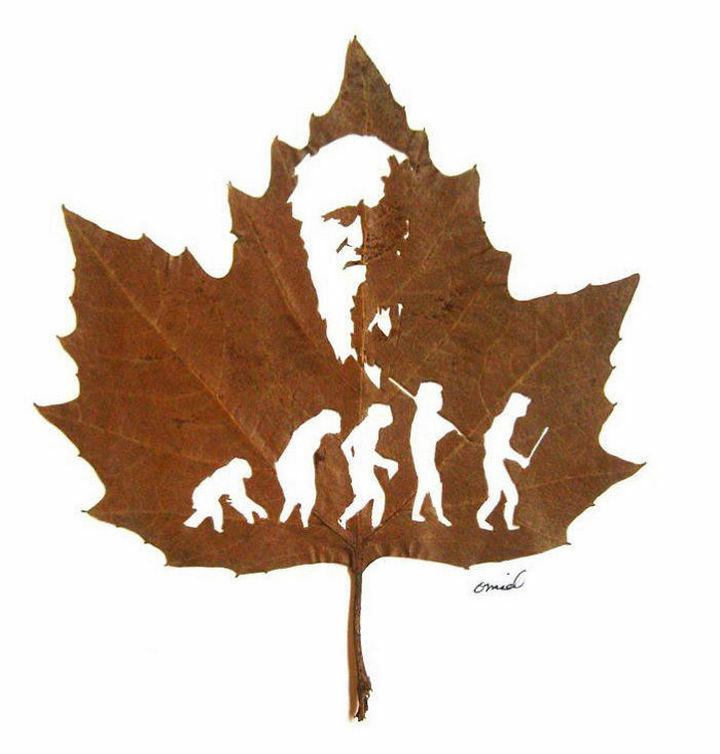 15) The power of women is symbolized in this inspiring carving. 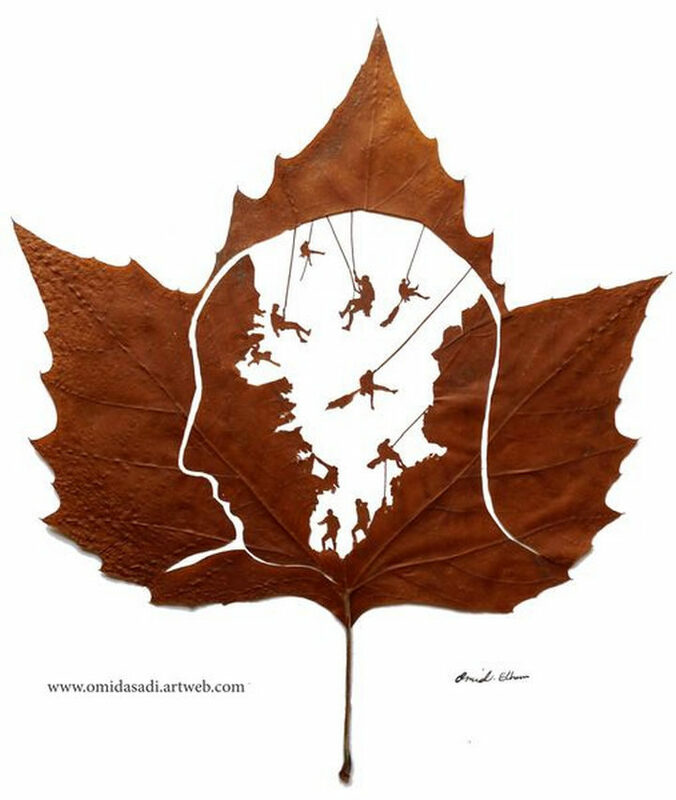 17) A striking piece with birds taking flight from a tree. 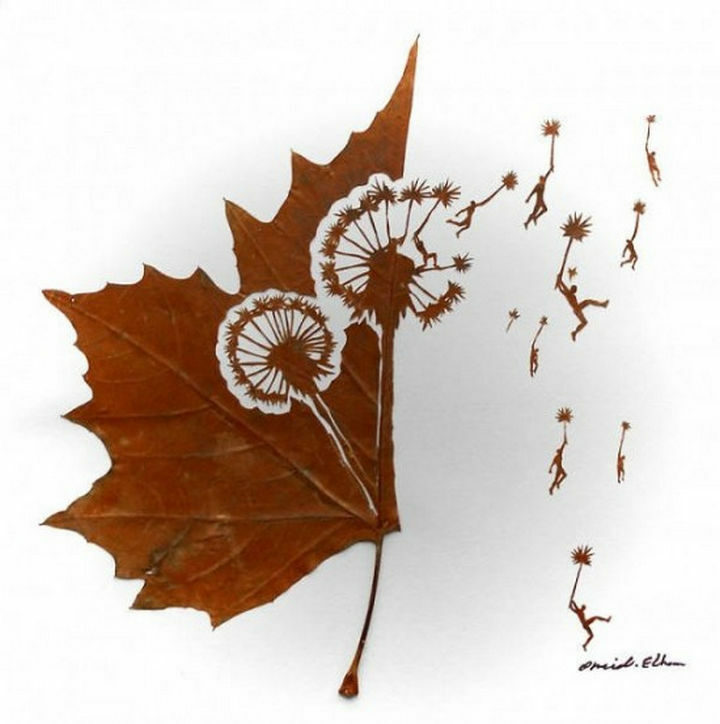 18) Peace and love depicted by tiny people floating in the wind. 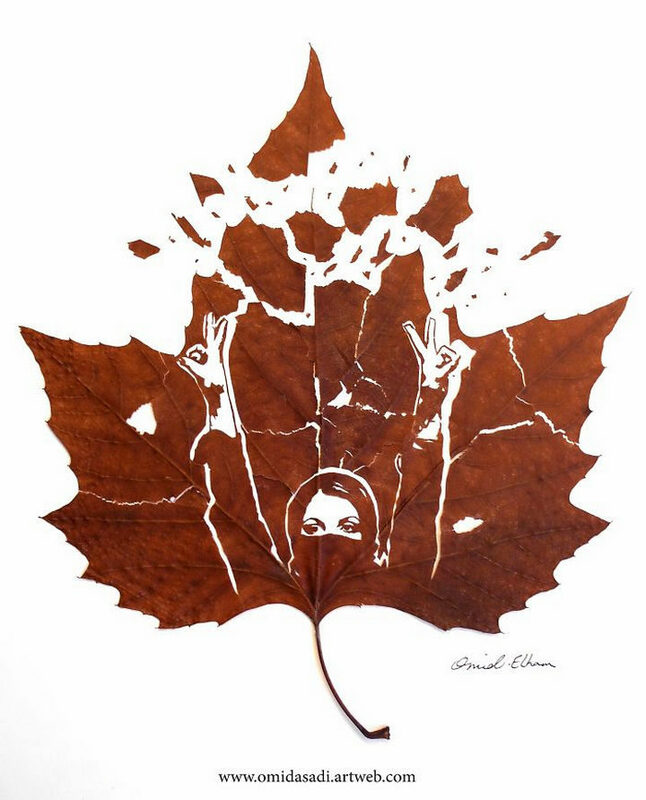 Asadi is always pushing the bounds of leaf art designs and I personally can’t wait to see what he comes up with next! 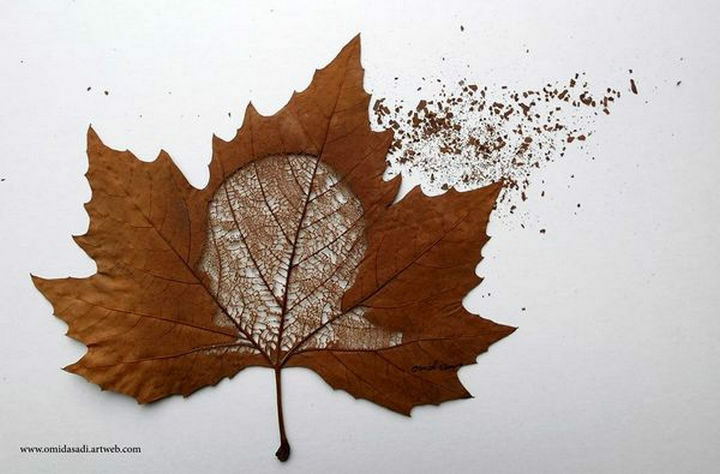 This reminded very much of Andres Amador’s amazing sand art. 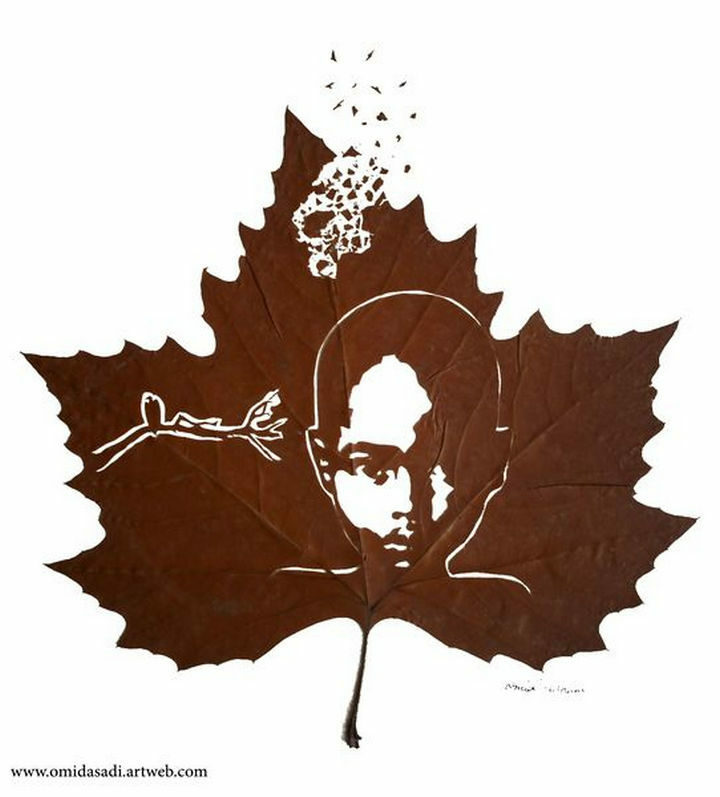 Art is about creativity and expression and Omid Asadi finds inspiration in everything. 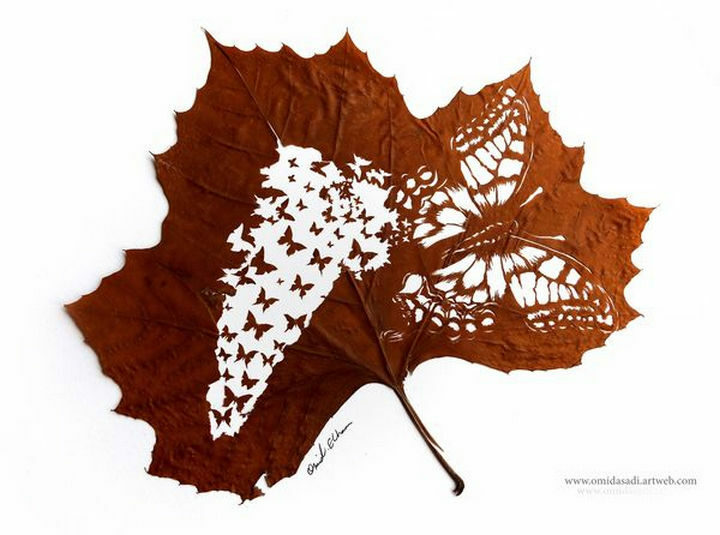 Please share these intricate leaf art carvings by artist Omid Asadi with your friends and family.